A Subedar in the 15th Ludhiana Sikhs who was born in the village of Salempur, Masandan, in District Jalandhar, Punjab. He rescued his English comrade Captain Henderson during battle by carrying him to safety in a wheelbarrow but sadly died from his wounds. 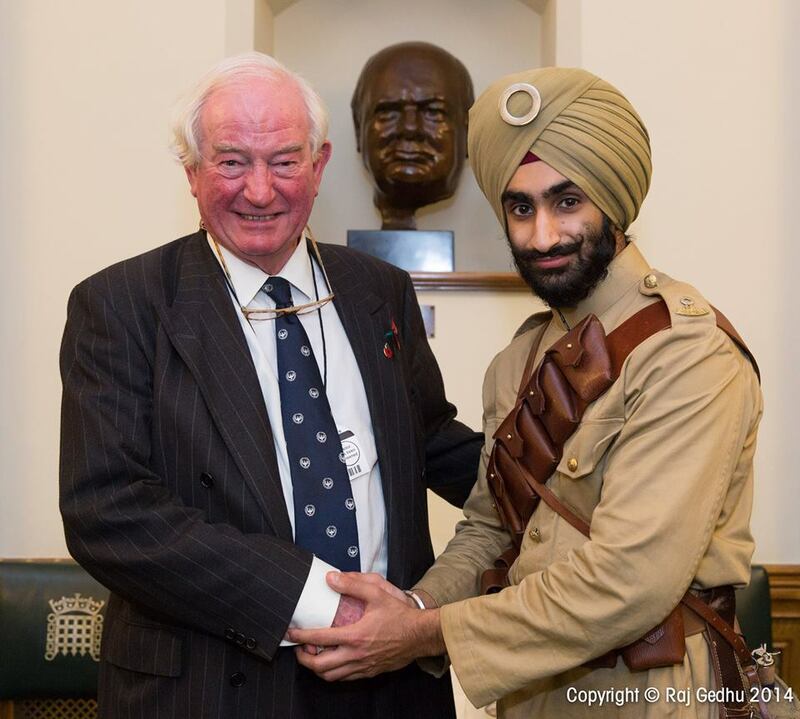 His life has been researched by his great-great-grandson, Citizen Historian Kuljit Singh Sahota. Manta Singh was born in 1870 into the family of Khem Singh of Salempur, Masandan, in District Jalandhar, Punjab. As soon as he left school, Manta Singh joined the 15th Ludhiana Sikhs in 1906. British officers prized Sikh soldiers, along with Nepalese Gurkhas, as coming from the so-called ‘martial races’. For Manta Singh and his comrades, the army was a good career option and one they took up willingly. As he was educated, he rose up to the rank of Subedar (captain), above the ranks of most and just below that of the European officers in the army. 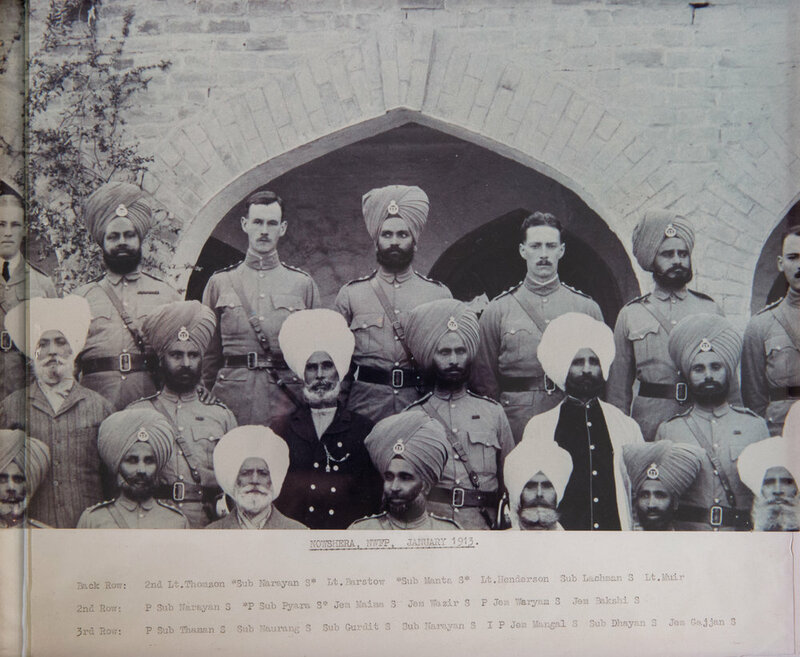 At the start of the First World War, Manta Singh’s regiment became part of the 3rd (Lahore) Division sent to reinforce the British Expeditionary Force (BEF) fighting in France. The march through Marseilles was one of great enthusiasm. Most enthusiastic reception extended to regiment throughout the journey. Baskets of fruits etc pressed on the men on every possible occasion. Those who’ve escaped so far are like the few grains uncooked in a pot. By late autumn of 1914, one in every three soldiers under British command in France was from India. One of these soldiers was Manta Singh. 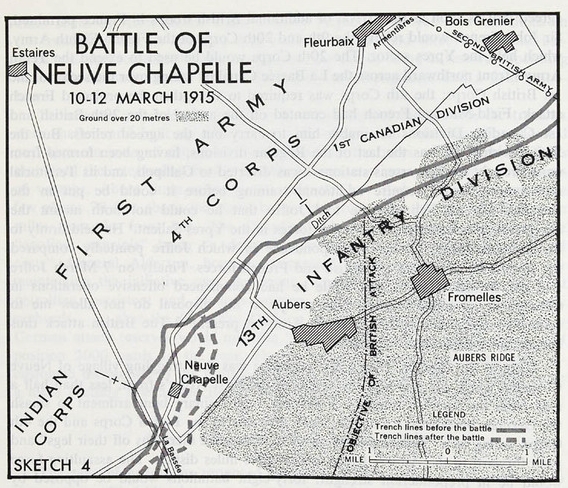 After long months of trench warfare, in March 1915 Manta Singh's regiment prepared to engage in the first major British offensive on the Western Front, the Battle of Neuve Chapelle. General John French, commander-in-chief of the BEF in France at this time, planned to take the village of Neuve Chapelle, which formed a German salient (bulge) in the British line, and if possible to take Aubers Ridge, a modest but nevertheless important observation post overlooking the plain. The French also thought it might well be possible to get behind the German front and threaten the defences of nearby Lille. On 10 March four divisions, comprising 40,000 men (half of whom were Indian Army soldiers), gathered on a sector of the front which was only three kilometres wide. The infantry attack was preceded by heavy but concentrated shelling from 342 guns, guided by reconnaissance planes of the Royal Flying Corps. In thirty-five minutes, the bombardment consumed more shells than the British Army used in the whole of the Boer War fifteen years earlier, a clear example of the growing industrialization of the Great War. While the British and the Indian Corps advanced rapidly through the lightly-defended village, the Garhwal Rifles suffered heavy losses as they attacked a part of the German line left untouched by the bombardment. After an initial success, in a matter of hours, the British became paralysed by poor communications and a lack of munitions, and their advance ground to a halt. Bringing in 16,000 reinforcements from Lille, Crown Prince Rupert of Bavaria launched a counter-attack on 12 March. British soldiers attempting to take Aubers Ridge came up against undamaged barbed wire entanglements and their losses were enormous; in three days of fierce fighting the allied forces suffered 13,000 casualties, including over 4,000 Indian soldiers. It was in this chaotic field of battle that the 15th Ludhiana Sikhs fought. Manta Singh witnessed an English comrade and friend, Lieutenant (later Captain) George Henderson, suffering serious injury and near death. The ground in front was littered with German corpses and the whole place showed signs of heavy fighting that had been going on there. The stretcher bearers were at work all night picking up the wounded. We had Subedar Gattajan killed and Subedar Manta Singh wounded. About 60 other ranks were killed and wounded. Manta Singh and his wounded comrades were sent to Brighton for hospitalization and treatment since the hugh number of casualties made it impossible to find sufficient accommodation in France for the wounded Indians. In October 1914, arrangements were hastily made to bring them to England - namely to Brighton and in the New Forest. During December 1914 the first Indian patients began to arrive at Brighton. The town’s most famous hospital was the Royal Pavilion, which in 1914 was a museum. It was rapidly adapted as a hospital for Indian sick and wounded from France and Flanders. In fact, larger numbers of Indians were hospitalised at two other locations in the town – the Poor Law Institution (or Workhouse) in Elm Grove (which was called the Kitchener Indian Hospital) and the York Place schools. Around 12,000 Indians convalesced in Brighton and seventy-four died in the town. This number may at first glance seem unfeasibly small, but most deaths from wounds occurred at Field Ambulances and Casualty Clearing Stations within the proximity of the front line. The men at Brighton had survived these facilities and also voyages and treatment on hospital ships and ambulances before completing their treatment and convalescing here. A certificate signed by the Chief Resident Officer at the Kitchener Indian Hospital in Brighton lists Manta Singh’s wounds as ‘one, gunshot wound, left leg, two, gangrene of leg and toxaemia.’ Manta Singh had one and possibly both of his legs amputated, but unfortunately succumbed to his injuries and died a few weeks later on 15 March 1915. His body was taken to the South Downs and cremated in the open air and his ashes were scattered in the sea. Manta Singh and the injured man he rescued, Captain Henderson, had become brothers-in-arms. 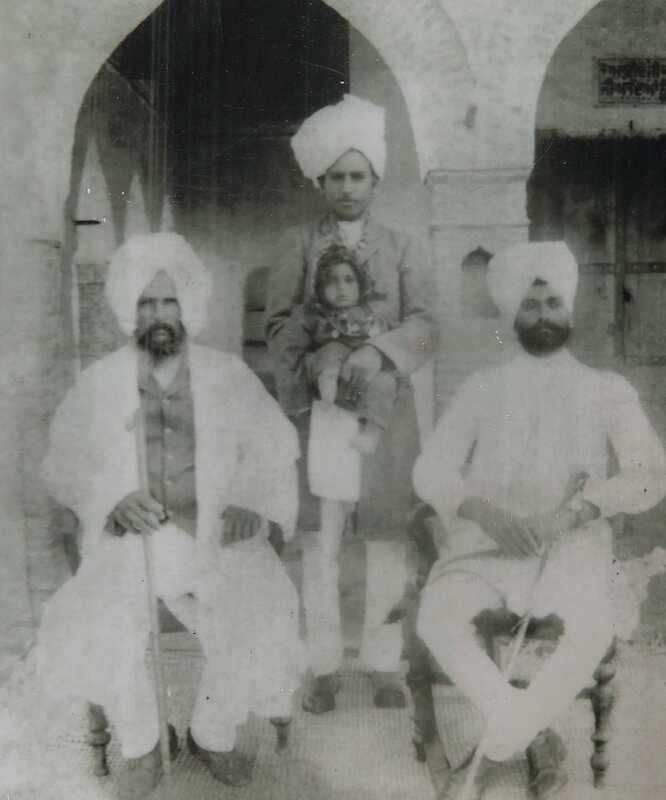 Henderson survived the war and ensured that Manta Singh’s son, Assa Singh (1909-2003), was taken care of and he encouraged him to join the Sikh Regiment like his father before him. Assa Singh developed a friendship with Captain Henderson’s son, Robert Henderson, and both actually served together in the Second World War. 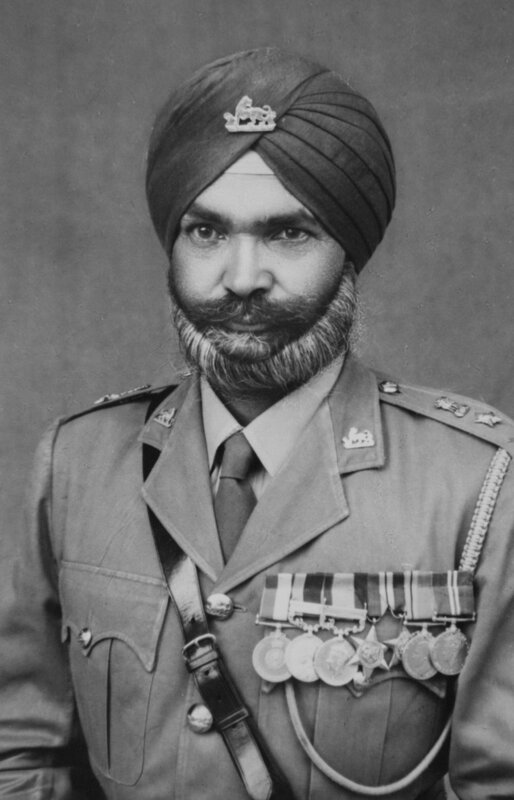 Assa Singh fought in the Eight Army against the Nazis in North Africa, then in Italy. After the war he became a Lieutenant Colonel before retiring from the Indian Army in 1957. To this day the two families have remained close friends. Opening ceremonies of the new monument were attended by Manta Singh’s grandson, Jaimal Singh. Although Assa Singh and Robert Henderson have passed away, their sons, Jaimal Singh and Ian Henderson are in regular contact. Jaimal Singh continues to attend the Chattri Memorial Service held where his grandfather was cremated. The Chattri (‘umbrella’ in Hindi, Punjabi and Urdu) on the South Downs outside Brighton is a unique memorial that stands in memory of all Indian soldiers who died during the First World War. It is particularly associated with the fifty-three Hindu and Sikh soldiers who died in hospitals in Brighton during 1914-15 and whose remains were cremated at this spot. The Chattri was designed by E. C. Henriques from Mumbai. The dome and its eight pillars are built from white Sicilian marble. Three large granite slabs lie over the original concrete crematory bases. The design symbolises the protection offered to the memory of the dead. To the memory of all the Indian soldiers who gave their lives for their King-Emperor in the Great War, this monument, erected on the site of the funeral pyre where the Hindus and Sikhs who died in hospital at Brighton, passed through the fire, is in grateful admiration and brotherly affection dedicated. In September 2010 the Commonwealth War Graves Commission erected a new monument besides the Chattri Memorial which is inscribed with the names of the 53 soldiers who were cremated there including Manta Singh.